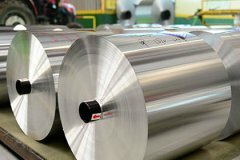 As an important metal material which developed earlier, aluminum plates are now widely used in ordinary day and every area of industrial production. Aluminum products have advantages of light weight, strong plasticity, corrosion resistance ans low cost. In the aluminum products series, aluminum sheet plate is the most common seen type, and it has the most orders from our clients. With numerous aluminum plate suppliers, to find qualified aluminum plate need some skills. How do you distinguish the quality of aluminum plate? Today, our company provides several opinions for you! The quality of the aluminum product can be determined firstly to investigate the thickness of the oxide film. If the thickness of the oxide film does not meet the specification, then the appearance of the aluminum sheet plate product can be easily rusted and corroded. Whats more, in later use as raw materials, the quality defect may cause other problems and influence the production. Another method is to check the alloy element content. Only with district control, the element in aluminum alloy can be produced according to the requirements. Some suppliers use scrap to producing, if the aluminum plates products are doped with many other chemical components, the chemical composition of will be unqualified and the safety will be seriously endangered.